Here is a link to the giving video we saw at Church in the Bank last Sunday Night if you want to see it again. Below is a link to a Phillip Jensen blog on the topic. Because ministers are the recipients of congregational giving they are hesitant to raise the issue of money. It is a hesitancy felt by both the congregation and the clergy. Some ministers are concerned about church budget and press the issue too often and too hard. Others feel the apparent self-interest of raising the issue and so avoid it altogether. Some congregations are never taught about giving and others feel bombarded about money every time they come to church. However, this tension confuses the subject of our giving with the object of our giving—or the gift of giving with the recipient of the gift. It confuses the questions of why, what and how we give with the issue of where best to direct our giving. It is the confusion of the long-term principle of gracious giving with the short-term immediate need for financial assistance. It is important that we regularly discuss the whole issue of the Christian use of money rather than only mentioning money when we want to address the current needs of a financial crisis. So, while there is a current financial need within the Cathedral ministry, this article is not about that need. Rather it is about the much more important principle of Christian giving. In the Old Testament, God’s people gave a tenth (a ‘tithe’) of all their produce to God in response to his blessings to them. The idea of the tithe is first seen with Abraham and Jacob (Genesis 14 and 28) and is then made explicit and obligatory in the Law of Moses. While required of the people, it was to be given generously with much rejoicing, not with begrudging legalism (Numbers 18, Deuteronomy 12, 14, 26, 2 Chronicles 31, Malachi 3). These tithes were collected to provide for God’s work—for the priests, Levites, widows and orphans. New Testament believers also responded to God’s blessings with generosity. We have received God’s ultimate generous gift in the death of his Son, who though he was rich, yet for our sake became poor, so that through his poverty we might become rich (2 Cor 8:9). And we respond to his love by loving him and our neighbours. The Philippians were the model Christians in this response of generosity. They begged for the privilege to give. Though not wealthy, they gave out of their poverty, not only their money but also themselves (2 Cor 8:1-7). They gave to the poor of the Judean famine, but also to the apostle in his preaching ministry. Paul wrote of their gifts to him as an offering acceptable to God (Phil 4:18). Their giving was “the grace of God”. It is this act of grace that Paul commends to the Corinthians (2 Cor 8:7). This is why ministers must teach on the subject: not to raise money but to bless the congregation. For generosity lies at the heart of the Christian message. The gospel is all about God’s generosity—his grace—given freely to us. And it is to be met by our response of generosity—giving ourselves “first to the Lord and then by the will of God to us”, wrote the apostle (2 Cor 8:5). Grace befits the Christian as do love and forgiveness. We are saved by grace to be gracious, saved by generosity to be generous—not just with our money but with our very selves. Christians are, and are not, under compulsion to give. Our compulsion is spiritual not social. We are not under a social or legal compulsion to give but we are under a spiritual compulsion. So Paul can write to the Corinthians, “Each one must give as he has decided in his heart, not reluctantly or under compulsion, for God loves a cheerful giver” (2 Cor 9:7). Yet he knew of the “love of Christ” that compelled or controlled him to give his life for Christ and for others (2 Cor 5:14-15). The Christian obligation to give is not a tax—but a gift. Our obligation to give does not come in terms of law or punishment for failure but in response to Christ’s love for us. We do not give to be seen by others (Matt 6:1-4) but because we are the children of the God of all grace. 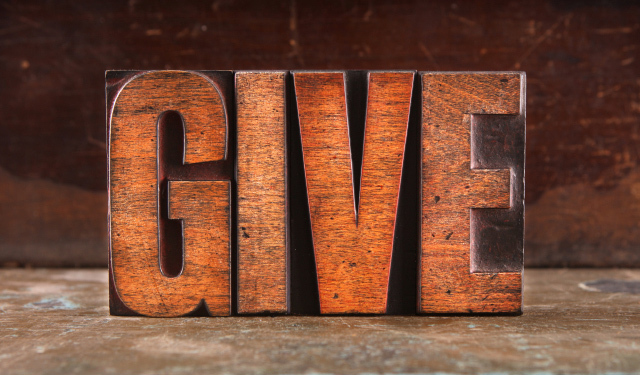 So, “How much should we give?” is a strange question for a Christian to ask. In terms of our regular income a tenth is a good starting point. But that is just the starting point rather than a legal figure we must absolutely stick to. Generosity goes way beyond tithing. A more fundamental question to ask is: “How much have we received from the Lord?” For Jesus’ principles are, “Every one to whom much was given, of him much will be required” (Luke 12:48), and “whoever sows sparingly will also reap sparingly, and whoever sows bountifully will also reap bountifully” (2 Cor 9:6). A better question is, “What does God want me to do with the money he has given to me?” The fact that I have “earned it” does not exclude it from God’s gift to me or from my opportunity to use it generously for the benefit of others. The Christian thief is to stop stealing and start honest working with his hands “so that he may have something to share with anyone in need” (Eph 4:28). So far I have not addressed the questions: “Where should I direct my giving?”, or “To which needy cause should I be generous?” That’s in my next article. In the meantime, it is more important that Christians give than which cause they give to. And it is important that ministers teach about giving so as not to rob the congregation. For the real beneficiary of the gift is not the minister but the Christian—the donor is also the recipient. As Jesus himself taught, “It is more blessed to give than to receive” (Acts 20:35). In giving we become like God—the God of all grace who loves the cheerful giver.